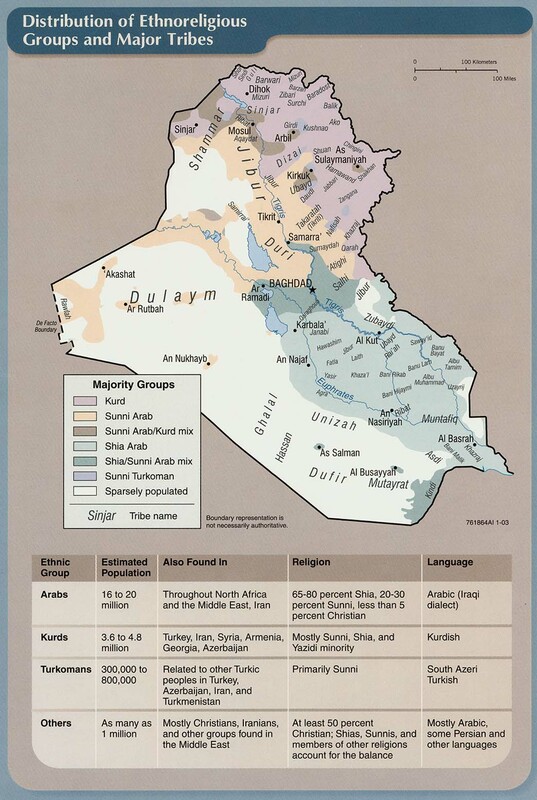 The Turks in Iraq are also called Iraqi Turkmen. They live to a large degree in north Iraq and have close relations with Turkey. The Turks in Iraq are descended from Turks who emigrated to Mesopotamia in the seventh century. The largest migration of them came during the Ottoman Empire. Many of the Turks in Iraq are descendants of Ottoman soldiers and traders during the Ottoman Empire. When the Ottoman Empire came to an end earlier last century, life became more difficult for them. The Turks in Iraq have the greatest numbers in Kirkuk. Others live in Tel Afar, Mosul, Arbil and in the capital Baghdad. They speak South Azeri or in a language similar to Anatolian Turkish. Some of them follow Sunni Islam while others follow Shia Islam. These days the Turks in Iraq are becoming more and more mixed in with the people of Iraq generally. They have an important political presence regards the future of Iraq. After the downfall of Saddam Hussein, some Iraqi Turks were elected to the National Assembly of Iraq and to the Council of Representatives. * Scripture Prayers for the Turk in Iraq. * Pray that the problems the Turks in Iraq are having will lead them to Jesus Christ. * Pray for a lasting peace in Iraq.